In today’s dynamic corporate environment, what creates the difference is uniqueness. The unique qualities of prospective business leaders get nurtured in the distinctive business school milieu. For such an environment, I believe that the Indian Institute of Management, Kashipur is the best place. So, here I would highlight what makes our campus unique business school in India. To start with, the combination of being situated at the foot of the Himalayan range and located near the Rudrapur and Pantnagar Industrial area make our campus unique place. In addition to this, our campus is just four hours away from Delhi, one of the biggest corporate cities in the world. Thus, the peacefulness of the Himalayan range and rigor of the corporate world make our campus location unique. When it comes to academics, our curriculum is based on case study-based learning. So, we have been going through application-based learning. The assignments quizzes are the routine part of our curriculum. Our faculty is from diverse fields with corporate experience. Additionally, all of them are graduated from esteem business schools of the world. Moreover, our campus has collaboration with foreign business schools for student exchange program which helps our student to build global business perspective. Our campus is newly constructed from scratch which provides world-class classrooms and library. In addition to academic loads, we have been part of various clubs and committees which gives us an opportunity to apply classroom learnings. Our college has got 13 Bloomberg terminals which help us to analyze the financial market and build trading strategies. We arrange sports events to build team spirit and sportsmanship. I believe that this environment helps us to build an all-around personality. Having said that our campus is newly constructed, it provides world-class hostel facilities. Each floor has six single occupancy rooms. So, six persons on each floor facilitated peer learnings which leads to building a well-balanced perspective. The hostel has amenities like washing machine, Refrigerator, Microwave oven and water purifier. Furthermore, each room has a radiant cooling/heating system, which makes our hostel life comfortable throughout the year. Our campus run has the student-driven mess, which serves the health and homey meal. This helps us to maintain physic for rigorous academic life at our campus. Kashipur attracts a lot of tourists as It is scenic. The hill stations like Nainital and Ramnagar are reachable in half an hour. One of the biggest forest reserves of India, Jim Corbett National Park is located just 30 kilometers from our campus. Owing to this location, we have expedition clubs like Biking club and Cycling club. So, we have been enriching the experience of the nature on weekends. Apart from academics and allied activities, we are conscious of our social responsibilities. For that, we have for Parivartan (Improvement) club. We interact with underprivileged people and help them to resolve their problems. This helps to improve their standard of living and approach towards problems in the life. At the same time, it helps us to connect with them. 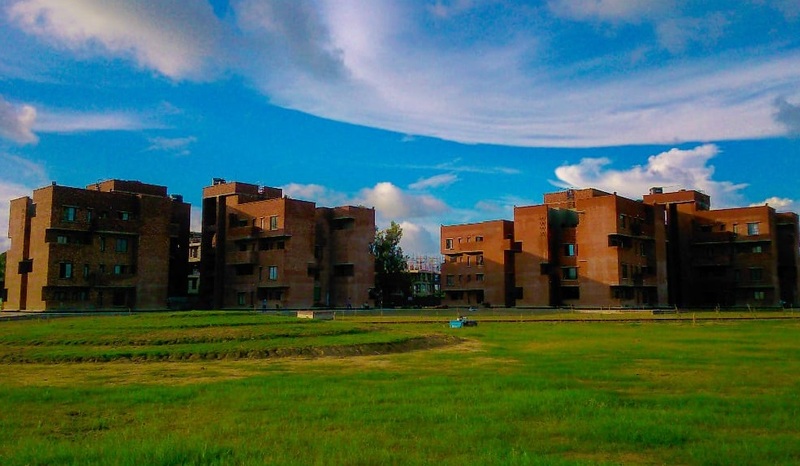 In the conclusion, I would like to say that these are the key uniqueness IIM Kashipur has got. I firmly believe that this is the unique environment to build tomorrows managers. Over the course of years, Aditya Birla Group has been diversified in various business domain ranging from mining to financial services. Amongst the business arms of ABG, I would want to work with Aditya Birla Capital. This organization is functioning in domains such as insurance, investment, and finance. By this company has been imparting value in the financial services market. I believe that in these domains I can contribute to the company’s future growth. At the same, I would get an opportunity to explore and work in the area of my interest.